Not too much to say about this one other than they just didn’t put it all together to make any runs during the game at all. It was more a play here and a play there but PC just didn’t consistently play well enough to win this one. 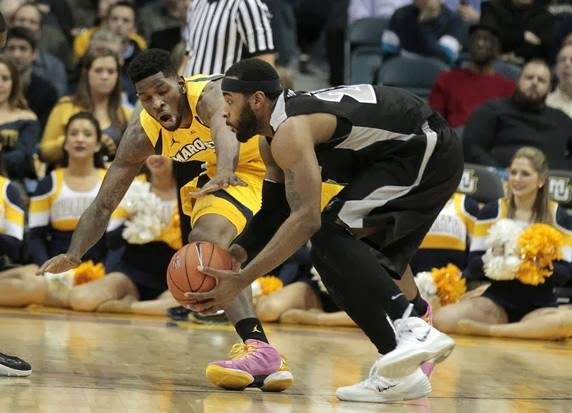 It was just a matter of time for the Friars to run out of gas with their thin bench, especially against a very deep Marquette team. Providence couldn’t hit any of the open shots that revealed themselves to them and turned the ball over way too much (15 for the game and 11 times in the 1st half) to contend. The Friars still haven’t beaten the Golden Eagles since 2007 but they’ll get another chance in their second to last game, at home, on March 4th, and maybe another shot if they happen to meet in the conference tournament. I don’t know if I wish it was against a better team that they may have lost to anyway or if it was a good thing that they got this stinker of a game out of the way so they could give their best effort towards a win that may give them a stronger tournament case…but it’s probably the latter. Time to regroup and limit the turnovers in the next one. Next Up: Saturday at 1 PM at DePaul.